(News Investigators) /The Tiv Traditional Council (Ijir Tamen), today unanimously agreed to stand by Governor Ortom in the implementation of the Open Grazing Prohibition and Ranches Establishment Law. The Council made its positon known at its meeting in Gboko, the traditional headquarters of the Tiv nation. The traditional rulers stated that if Governor Ortom would be crucified because he chose to resist the invasion and occupation of his land, they were ready to be crucified with him. They urged the Governor to stand firm and resist any attempt to surrender the land to herders under whatever guise. 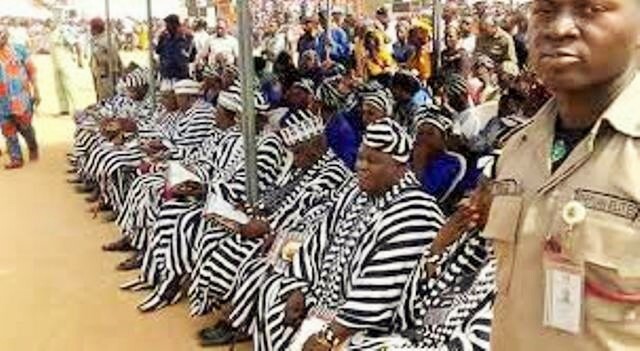 The decision of the Tiv supreme council was taken after the Tor Tiv, Professor James Ayatse conducted a voice vote which saw representatives of all intermediate areas of Tiv land, namely: Jemgbagh, Jerchira, Kwande, Sankera and MINDA unanimously rejecting any attempt to suspend the ranching law of the state. 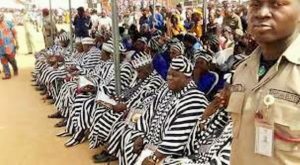 The paramount ruler cautioned Tiv sons and daughters against politics of violence and acrimony, stressing that anyone who encourages political violence would face unpleasant consequences. Addressing the Ijir Tamen, Governor Ortom said his refusal to support the organized pogrom against his people was the beginning of his travails. He stated that some prominent Benue sons had connived with enemies of the state to work against the people, saying that the probe of his security vote and the failed impeachment move were part of the plot to get him out of the way. The Governor noted that he left the All Progressives Congress, APC, for the Peoples Democratic Party, PDP because the interest of his people as a state was not protected in his former party. Both Governor Ortom and the Tor Tiv charged Benue people who had not yet registered for the ongoing voter registration to do so within the two weeks extension, even as they urged those who registered but were yet to get their permanent voters cards to go for collection.